Book a room at the Premier Inn today with savings online. Plus 2 x Children eat FREE with one paying adult. Short break stays in London and UK from only £49. Away for the Weekend? Need a Short Break Stay? All Police employees, Staff and Friends can enjoy a short break when you stay at Premier Inn. With over 600 locations to choose from your sure to find the right Hotel for you. 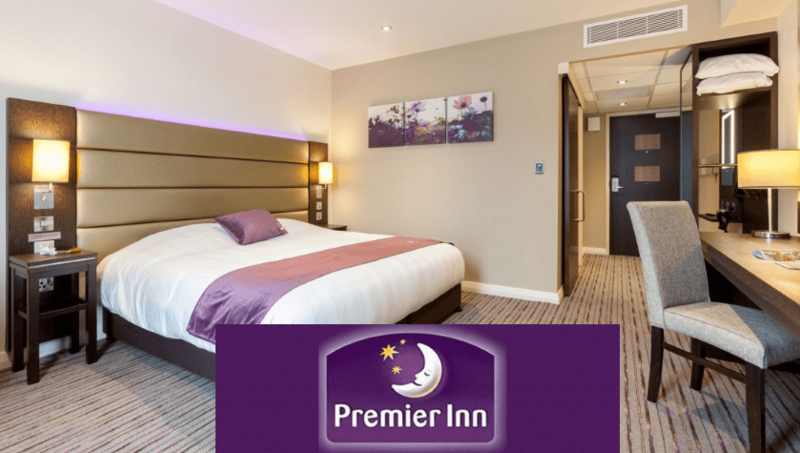 Premier Inn is one of the UK’s go-to destinations for affordable accommodation for weary travellers. The hotel chain has been providing travellers with comfortable hotel rooms in convenient locations for decades! In fact, Premier Inn is the UK’s largest budget hotel chain and you can rest assured that if you’re ever in need of a last minute hotel that won’t cost you an arm and a leg, Premier Inn has you covered. With over 600 hotels across the UK, you’ll never be too far away from a good night’s sleep. Premier Inn’s affordable rates and high standards ensure that you can enjoy those weekends away without having to spend a large amount of money. The hotel chain is ideal for business trips and frequent users are rewarded with a variety of benefits from discounts to special extras. In fact their quality was highlighted when they were voted the Best Hotel Chain of 2013. Of course their rooms aren’t just for travellers in need of last minute accommodation. The hotels are ideal for short weekends away and if you’re looking to treat yourself, each hotel has a host of upgrades, deals and packages to suit all your different needs so you will never have to be concerned with spending too much. Do you have an early flight to catch but still want some rest? Just use their Good Night Guarantee and their SleepParkFly option, its as easy as a few clicks! The company prides itself on being flexible to their customer’s needs and have become synonymous with comfort and affordability, regardless of how short a stay you have with them. So if you’re looking for a great deal on a hotel room then Premier Inn is always an option. We bring you all their latest promotions and offers to ensure you get even more for your money and a comfortable hotel room to suit your tastes!